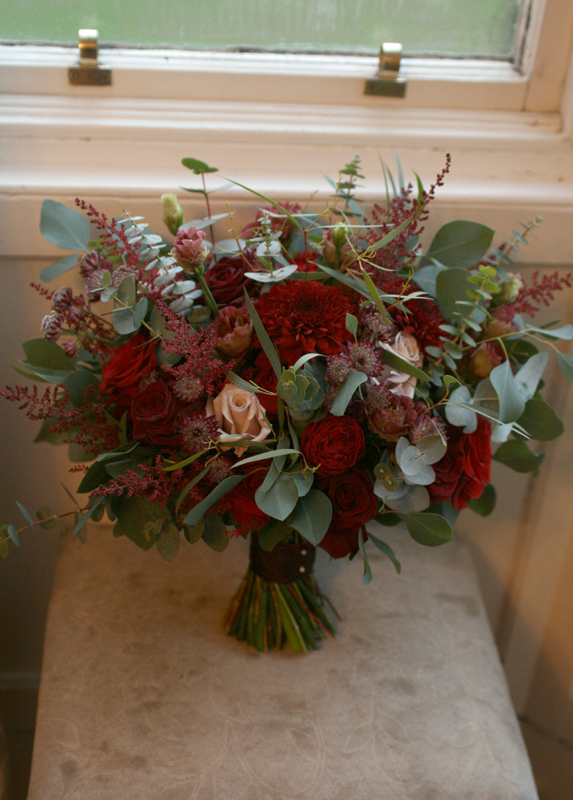 Natalie & Pete travelled up from Hartlepool for their wedding in central Edinburgh on Saturday. 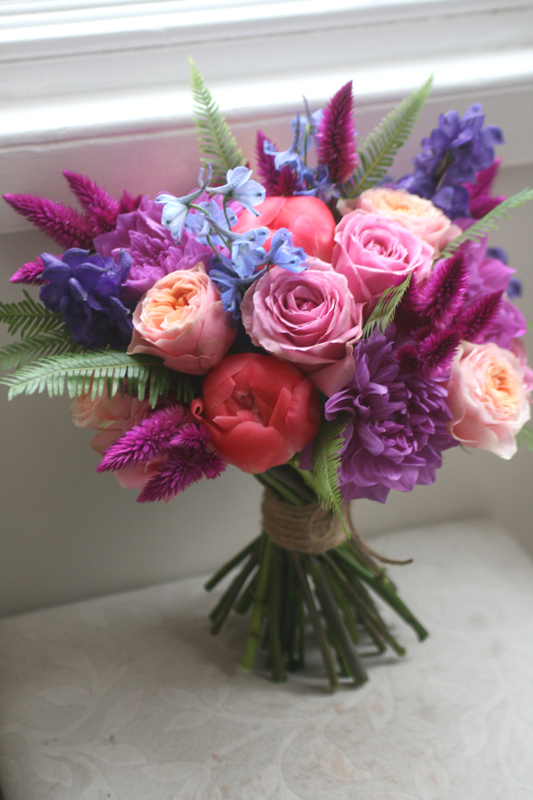 Bright and vibrant colours with lots of interesting textures was the brief for Natalie’s bouquet. 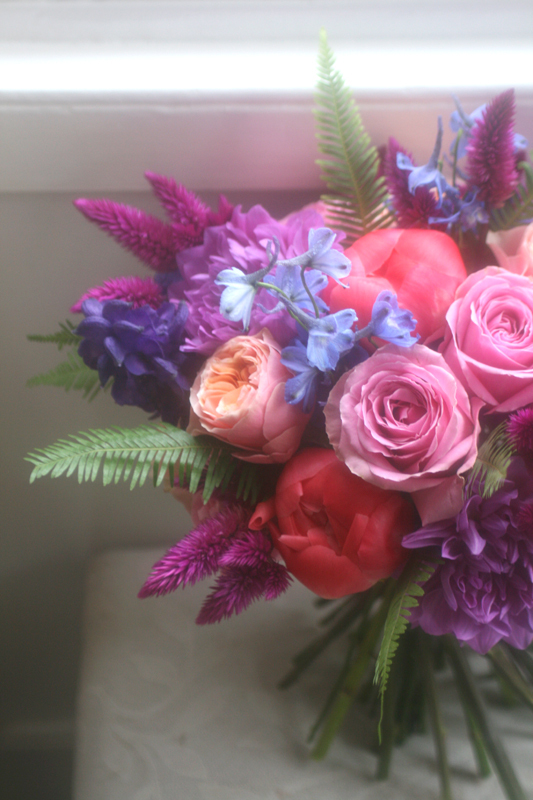 Her bouquet was full of lots of gorgeous blooms including coral peonies, vuvuzela roses, dark pink celosia, aconitum, delphinium, the most gorgeous dahlia and ferns. I loved how all the colours worked together. 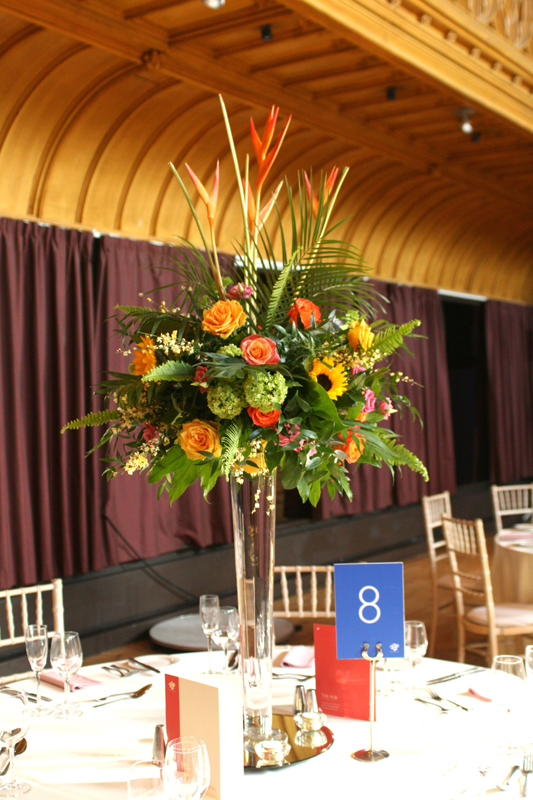 It was one of my favourite bouquet’s. Natalie’s bridesmaid’s held loose gypsophila bouquet’s tied with twine and the gents had buttonholes of gypsophila with a touch of sweet William flower for the groom and his dad in memory of his mum.